Abdel Queta Tavares' life has thus far been a photographic odyssey. As a child he photographed himself, experimenting with form and function before, in turn, becoming the focus of an award-winning image himself. This has all surrounded his life as an emergent young artist. Although the work of Tavares takes in the enormity of variety of human life and its expressions of, there are certain consistencies throughout his photographs. First, you'll notice most of his subjects are of African descent. It is in the reflection of his own life that he has chosen to understand the world, particularly through the medium of fashion. The second thing (which is likely the first thing you noticed) is the red hat. 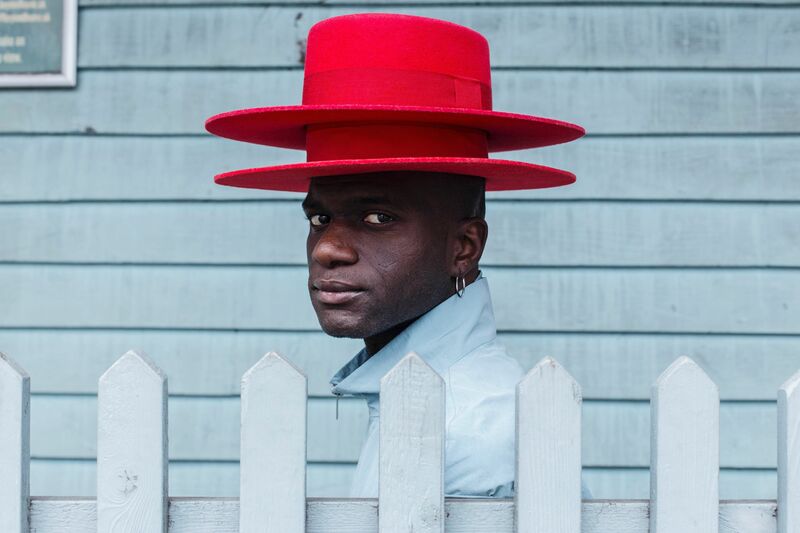 Tavares was wearing this red hat one day in London shopping in Shoreditch, London has become his latest home after a youth growing up in Guinea-Bissau gave way to teenage years in Lisbon before London currently. British photographer David Cantor was in the shop at the same time and noticed him. The way he looked and the way the colours of his outfit created a sense of artistic intrigue. Shooting Tavares and entering the image into a portrait competition, he had suddenly become the face of a Wessing Photographic Portrait Prize winning entry. The image, now iconic, was up in the National Portrait Gallery amongst other similarly esteemed housings. It seems that in some way, this photograph of himself, as a continuation of the self-portraits he took as a young budding photographer, has amalgamated into his own artistic identity as a photographer. The red hat is always there. When he first bought the hat, against the recommendation of his friend, Tavares was shy to be seen with it. The bright colour is loud. It will no doubt draw attention. But when that attention came back positive, with people on the street complimenting him, he was more secure in wearing it. Since then, it's become synonymous with his name. Much of the photography work he produces is fashion-focused and as such, emphasises the peformative nature of dress, especially as a way of cultural expression. Heritage and history are two decisive interplaying elements of his work and their relationship, teamed with that of the subject in the photos, create an insightful portrait into an individuals life. Part reality and part staged, these images are highly narrative-led, a lot of them looking very much like cinematic stills. Returning to his once-home Lisbon this year for an exhibition at the Underdogs Gallery in Lisbon (1-29 March) Tavares will be able to return to a time, with the knowledge and experiences he has gained since, to create something that will both express outwardly, but also help to inwardly understand, the passages of time and its influence on identity. To get to know the artist, have a look at his website, Black Fashion Stars.